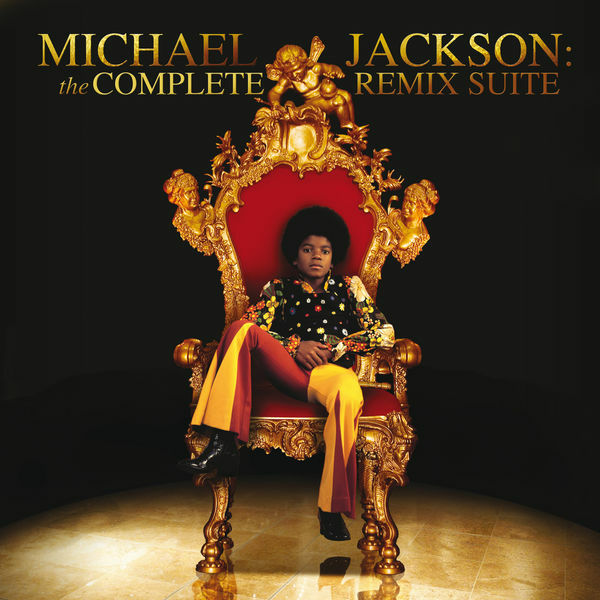 PHIL TAN, Mixer, StudioPersonnel - StarGate, Producer - Element, Producer - Jackson 5, MainArtist - JERRY MARCELLINO, ComposerLyricist - Donald Fenceton, ComposerLyricist - Mel Larson, ComposerLyricist Copyright : ℗ 2009 Universal Motown Records, a division of UMG Recordings, Inc. The Neptunes, Producer - Fabian Marasciullo, Mixer, StudioPersonnel - Clifton Davis, ComposerLyricist - Jackson 5, MainArtist Copyright : ℗ 2009 Universal Motown Records, a division of UMG Recordings, Inc.
Dallas Austin, Producer - Rick Sheppard, Engineer, StudioPersonnel - Michael Jackson, MainArtist - Leon Ware, ComposerLyricist - ARTHUR ROSS, ComposerLyricist - Cory Nitta, Producer Copyright : ℗ 2009 Universal Motown Records, a division of UMG Recordings, Inc.
Fabian Marasciullo, Mixer, StudioPersonnel - Jackson 5, MainArtist - Hal Davis, ComposerLyricist - Donald Fletcher, ComposerLyricist - W. Parks, ComposerLyricist - Polow, Producer Copyright : ℗ 2009 Universal Motown Records, a division of UMG Recordings, Inc.
Deke Richards, ComposerLyricist - SALAAM REMI, Producer - Freddie Perren, ComposerLyricist - Berry Gordy, ComposerLyricist - Jackson 5, MainArtist - Alphonso, ComposerLyricist Copyright : ℗ 2009 Universal Motown Records, a division of UMG Recordings, Inc.
Edward Holland Jr., ComposerLyricist - Lamont Dozier, ComposerLyricist - Brian Holland, ComposerLyricist - Eric Kupper, Engineer, StudioPersonnel - Frankie Knuckles, Producer - Jackson 5, MainArtist Copyright : ℗ 2009 Universal Motown Records, a division of UMG Recordings, Inc.
Steve Aoki, Unknown, Other - Jackson 5, MainArtist - Hal Davis, ComposerLyricist - Donald Fletcher, ComposerLyricist - W. Parks, ComposerLyricist Copyright : ℗ 2009 Universal Motown Records, a division of UMG Recordings, Inc.
David Morales, Unknown, Other - Barrett Strong, ComposerLyricist - Norman Whitfield, ComposerLyricist - Steven Barkan, Engineer, StudioPersonnel - Jackson 5, MainArtist Copyright : ℗ 2009 Universal Motown Records, a division of UMG Recordings, Inc.
Benny Blanco, Re-Mixer, StudioPersonnel - Bill Withers, ComposerLyricist - Michael Jackson, MainArtist Copyright : ℗ 2009 Universal Motown Records, a division of UMG Recordings, Inc.
George Gordy, ComposerLyricist - Allen Story, ComposerLyricist - Linda Glover, ComposerLyricist - Emile Haynie, Re-Mixer, StudioPersonnel - Lawrence Brown, ComposerLyricist - Michael Jackson, MainArtist Copyright : ℗ 2009 Universal Motown Records, a division of UMG Recordings, Inc.
Deke Richards, ComposerLyricist - Freddie Perren, ComposerLyricist - Berry Gordy, ComposerLyricist - Jackson 5, MainArtist - Alphonso, ComposerLyricist - SRP, Re-Mixer, StudioPersonnel Copyright : ℗ 2009 Universal Motown Records, a division of UMG Recordings, Inc.
Michael Jackson, MainArtist - Don Black, ComposerLyricist - Akon, Producer - Walter Scharf, ComposerLyricist - Giorgio, Producer Copyright : ℗ 2009 Universal Motown Records, a division of UMG Recordings, Inc.
Deke Richards, ComposerLyricist - Julien Jabre, Engineer, StudioPersonnel - Freddie Perren, ComposerLyricist - Berry Gordy, ComposerLyricist - Jackson 5, MainArtist - Dimitri From Paris, Producer - Alphonso, ComposerLyricist Copyright : ℗ 2009 Universal Motown Records, a division of UMG Recordings, Inc.
Paul Oakenfold, Producer - Jackson 5, MainArtist - Hal Davis, ComposerLyricist - Donald Fletcher, ComposerLyricist - W. Parks, ComposerLyricist Copyright : ℗ 2009 Universal Motown Records, a division of UMG Recordings, Inc.
No ID, Re-Mixer, StudioPersonnel - SMOKEY ROBINSON, ComposerLyricist - Jackson 5, MainArtist Copyright : ℗ 2009 Universal Motown Records, a division of UMG Recordings, Inc.
Deke Richards, ComposerLyricist - Freddie Perren, ComposerLyricist - Kenny Hayes, Producer - Berry Gordy, ComposerLyricist - Jackson 5, MainArtist - Alphonso, ComposerLyricist Copyright : ℗ 2009 Universal Motown Records, a division of UMG Recordings, Inc.
Deke Richards, ComposerLyricist - Mark Hoppus, Re-Mixer, StudioPersonnel - Freddie Perren, ComposerLyricist - Berry Gordy, ComposerLyricist - Jackson 5, MainArtist - Alphonso, ComposerLyricist - Chris Homes, Re-Mixer, StudioPersonnel Copyright : ℗ 2009 Universal Motown Records, a division of UMG Recordings, Inc.
George Gordy, ComposerLyricist - Allen Story, ComposerLyricist - Jackson 5, MainArtist - Rosemary Gordy, ComposerLyricist - Muro, Producer Copyright : ℗ 2009 Universal Motown Records, a division of UMG Recordings, Inc.
Deke Richards, ComposerLyricist - Greg Cohen, Producer - Freddie Perren, ComposerLyricist - Berry Gordy, ComposerLyricist - Jackson 5, MainArtist - Alphonso, ComposerLyricist - DJ Cassidy, Producer Copyright : ℗ 2009 Universal Motown Records, a division of UMG Recordings, Inc.
Berry Gordy Jr., ComposerLyricist - Bob West, ComposerLyricist - Wayne Wilkins, Unknown, Other - Willie Hutch, ComposerLyricist - Jackson 5, MainArtist - Hal Davis, ComposerLyricist - Enrico Caruso, Arranger, Work Arranger Copyright : ℗ 2009 Universal Motown Records, a division of UMG Recordings, Inc. This Compilation ℗ 2013 Motown Records, a Division of UMG Recordings, Inc.